We are regularly contacted by people who are interested in becoming Certified Sage Pastel Trainers or becoming Certified Sage Pastel Consultants . Since Sage Pastel Partner is so widely used in South Africa, there is always demand for training as well as consulting on the use of the software which makes these great avenues to look into. In fact, here at Talent Stream we often require trainers and consultants to send out to client sites or to do classroom training. So if you are a certified Pastel trainer or consultant please leave your details with us here and we will be in touch when we require consultants and trainers. Let’s now look at what courses you need to complete if you would like to go down this route. Firstly, to become a consultant or a trainer there are certain essential courses you need to complete (we cover these in Step 1 and Step 2 listed below). Then there are specific courses for trainers and specific courses for consultants. You can, of course, complete all the courses and become both a trainer and a consultant if you so wish. Remember, once you have completed this process you will be certified to train / consult people on both Sage Pastel Partner as well as Sage Pastel Xpress (which is simply a more limited version of Sage Pastel Partner). The first step is to complete the Sage Pastel Partner Practitioner course. This covers the beginner, intermediate and advanced levels of Sage Pastel Partner from an end user perspective. You can complete this course by attending a classroom course or by enrolling on our distance and online learning program. To see what is covered in the Sage Pastel Partner Practitioner course as well as the latest courses prices please download the course outline here (and we will also send you some free lessons). Once you have completed this course you will be proficient at working with Sage Pastel Partner and will be able to apply for many jobs which have Pastel as a requirement. So at this stage you would already have obtained a valuable qualification. Once you have successfully passed the Sage Pastel Partner Practitioner course you will be ready to take the next step which is to complete the Installation Technician course in order to become a certified installer. This deals with the installation of Sage Pastel Partner in different environments. This course can done via self study or you can attend a classroom course over 2 days. If you would like to enrol for this course please contact us. Once you have completed this course you can choose to become a Value Added Reseller of the Sage Software. You will need to pay a separate registration fee to Sage and you will then obtain commissions / rebates when you sell the software to your clients. Once you have completed the Installation Technician course you can then take the final step to becoming a Certified Trainer on Sage Pastel. This requires you to complete the Certified Product Trainer course. This course is only available in a classroom format and takes 3 days i.e. there isn’t a distance and online learning option for this. If you would like to do this course, please contact us for a quote. NOTE: if you have already been certified by the ETDP SETA as a qualified trainer then you don’t need to complete this course. 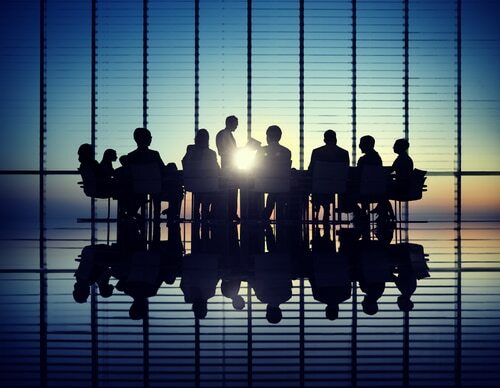 You would only have to provide proof to Sage that you have obtained the credit on the Train the Trainer unit standard i.e. 117871 – Facilitate learning using a variety of given methodologies. If you would like to register for this course please contact us. Sage Pastel Partner has a number of add-on modules that are not covered in the Practitioner course discussed above. These add-on modules need to be separately purchased by any company that has Sage Pastel Partner installed. Not all companies would use these modules i.e. only those companies which require the additional functionality. This course deals with teaching you all of these modules so that you can provide consulting on them. This course can be completed over 5 days in the classroom or via self-study from home. 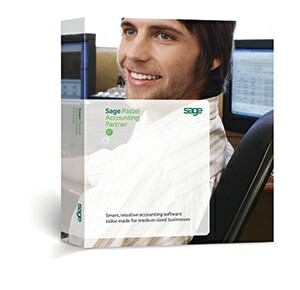 Sage Pastel Partner Product Specialist (Module 4). This is a 2 day course that can only be completed by attending a classroom course. In this course you will gain an in-depth knowledge of how the Pervasive database system works as well as a basic understanding of SQL commands. Sage Pastel Partner Technical Specialist (Module 5). This is a 2 day course that can only be completed by attending a classroom course. In this course you will learn how to fix corrupt data and also understand the difference between this and incorrect settings. Once you have completed this you would have completed all the courses to become a fully certified consultant. Becoming a certified trainer or consultant on Sage Pastel Partner is a valuable qualification to have. You can even provide training or consult on a part time basis e.g. over weekends or during the week day evenings. I am interested in becoming a Pastel Trainer / technician. Could you send me the course outline to obtain my goal. I am interested in becoming a Sage Pastel Partner Trainer or Consultant. To register for the online course, how do I go about it? Am from Nigeria. We are a company based in Namibia. I receive requests ever so often within my Company on whether we are able to represent Pastel Products, without having to go the usual Consultant Route, for which the closest one at this stage is 400km’s away. Given the information you have provided herein, will it be possible fro me to attend to the courses, those available online, and what would you suggest can be done in terms of the ones where classes have to be attended? You can start off with the distance and online learning ones. With the others, the only option that I can think of would be to attend in Johannesburg or perhaps Cape Town would be easier for you. Good day, I am interested on becoming a Sage Pastel Partner Trainer and Consultant. To Register for the online Pastel Partner Practitioner Course which is the first step, how do I go about it? Can I register at any time?